Will the world have moved on before NFC hits critical mass? PayPal believes that NFC is not the holy grail of future payment, telling TechRadar that the world could have moved on by the time enough people have the technology on their mobile phones. Many companies are pinning a good deal of hope on near field communication (NFC) technology, and many of the next generation of handsets will include the functionality. However, one of the powerhouses of mobile payment, PayPal, has explained to TechRadar its doubts that it will ever fulfil its potential. 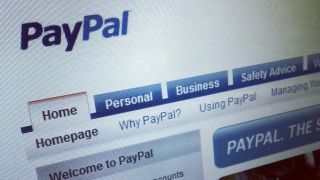 "We think it's a tech and payment industry obsession," said PayPal's Rob Skinner. "…it's been seen by some as the holy grail and the problem is, first of all, very few consumers have NFC on their phones and if you think about the high street story, retailers only change their systems a few times a year and NFC makes them do something quite dramatic to their hardware. "It's one of those things where maybe, when lots of consumers have NFC on their phones, it might work, but will it be something that they want to use?" Skinner questions whether NFC will simply fall short of the critical mass needed to convince retailers to upgrade. "It's an interesting piece of technology but it requires a hell of a lot to really change anything." "We are not saying we are anti-NFC; our Android app enables NFC, but it goes back to the point about working across any platform. "It doesn't matter if it's an iPhone or Android, a desktop or a mobile phone - it just happens with PayPal."